Newcastle Under Lyme by the way, and I thought I’d retired from 10k’s last year. Needs must. This is the first time this race has been run as a 10k, previously it was known as the Newcastle 7, over seven miles. That had taken place for 40 years but this has now been shortened to take out a tricky road junction. The race start is outside the organising club’s HQ on Ashfields New Road. The course takes us on road but steadily uphill for the majority of the first 6k, up something known locally as Black Bank. Then we descend to the finish. It also goes off-road at this point. Firstly on to gravel tracks and then dirt tracks along the route of an old railway line. Thankfully it's not been too wet, so the course isn't muddy or slippery. The finish turns out to be at least a half a mile walk back to the race HQ, so one wonders why it couldn’t still have been a 7 miler? It’s a popular event with 416 finishers and a rather nice commemorative mug for all. I am one of those finishers despite struggling with tight calf-itis throughout. I consider dropping out several times as my muscles alternate from tight to excruciatingly tight but I carry on in the belief that this is actually doing it some good. My time of 49:31 reflects my cautiousness and my discomfort but at least nothing snapped. However I think doing the same over a half marathon distance at Scunthorpe in two weeks time is out of the question. We head back home and then later go over to Quad in Derby. The Paperboy is an adaptation of a novel by Peter Dexter which isn’t about a little school kid who delivers newspapers. 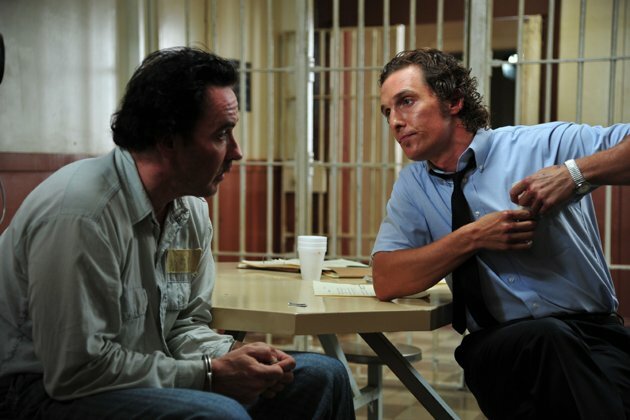 Set in the late 1960s, it is about a man called Hillary Van Wetter (John Cusack) who has been jailed for the murder of a local sheriff. Van Wetter is on death row and awaiting execution. In prison Van Wetter is penpalled by Charlotte Bless (Nicole Kidman), a woman who has cherry picked him from all the other inmates as her preferred murderer to marry. Bless enlists the help of two journalists to attempt to get Van Wetter released. 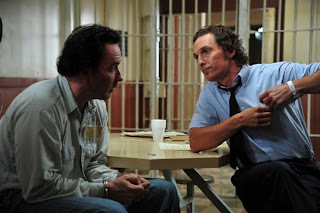 These are Ward Jansen (Matthew McConaughey), a man from the same town where Van Wetter is being held, and his colleague Yardley Acheman (David Oyelowo), a black journalist from London. They are assisted by Ward’s younger brother Jack (Zac Efron), a former university swimmer who was expelled for vandalism. He is their driver and ‘paperboy’. Jack’s only real friend is the ex-family maid and narrator of the story, Anita (Macy Gray), who raised him and his brother in the absence of his mother. Ward and Yardley set about investigating the case, where they find some of the evidence against Van Wetter to be inconsistent and they suspect that he may not have received a fair trial. Meanwhile, Jack falls heavily for the tarty short skirted Charlotte but she only has eyes for Van Wetter. To the extent that Van Wetter, a man you wouldn’t even want to write a letter to, and Charlotte pleasure themselves at their first meeting rather than discuss the facts of the case. It all gets even more bizarre when Jack is stung by jellyfish while swimming and Charlotte fights off all the other women on the beach to be the one to urinate on him. Apparently this helps and has nothing to do with Efron being many a young woman’s fantasy. It is the relationships between the main characters, a generally unpleasant bunch if the truth be told, that keeps us on our toes. Each has sides to their character that they wish to hide and that we probably wished they’d continued to hide. Ward, for instance, is revealed as a closet homosexual with a fondness for interracial masochism. This puts him in hospital and enables Yardley to print an article on Van Wetter that doesn’t let the truth get in the way of a good story. 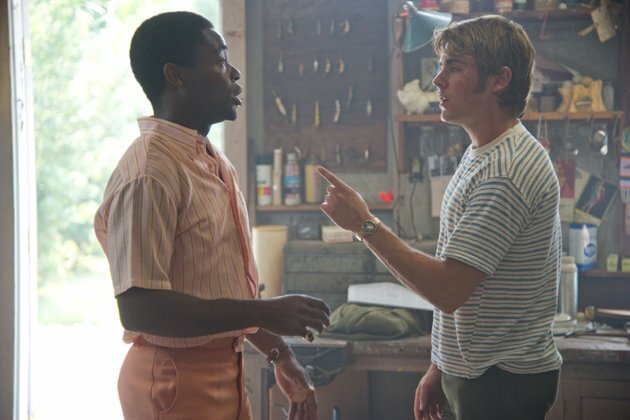 Jack, who finds out that Charlotte has slept with Yardley, in order to persuade him to come up with some evidence, tries to stop publication but all he manages to do is to find out that Yardley is actually an American. This is a time when racism was rife in the States and local black men could not attain decent jobs. Even then Yardley had given Ward sexual favours to the get the job. So it’s all pretty sleazy stuff. All we need now is for Charlotte to offer Jack a sympathy shag, which of course she does and this does nothing to ease his infatuation with her. As a result of Yardley’s article Van Wetter is released from prison and after taking his fill of Charlotte roughly in every room of her house, he takes her away with him to live out in the swamps. ...and they all lived happily ever after. Err no. It’s an interesting film, which you are never totally sure where it’s headed but it all seemed to make sense when it finally got there via a rather ramshackle route. 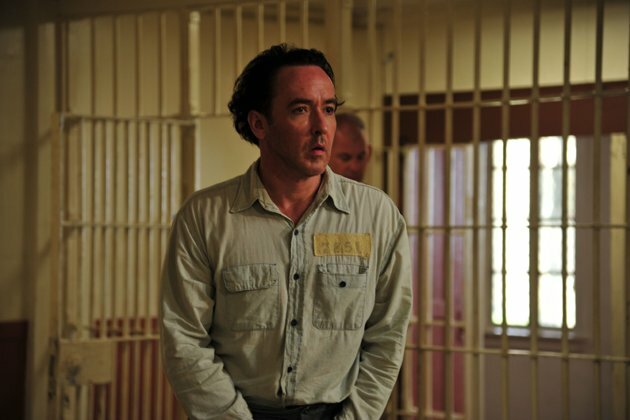 It has to be said that Cusack is terrific and Kidman plays yet another deluded lonely soul but all the cast are good. Recommended. After the film we hop on a bus to Stapleford and, without much enthusiasm, to the new Wetherspoons there, the Admiral Sir John Borlase Warren, for some food before moving on to the Horse & Jockey, that we enjoyed so much on our last trip. We never get there. The food is typical Wetherspoons fare of course but the beer range is something else. We stay there all night.